Leigh Vial, outgoing head of the Experiment Station (ES) at the International Rice Research Institute (IRRI), delivered his exit seminar on ES achievements and challenges on 15 January at the Havener Auditorium, IRRI Headquarters. Dr. Vial joined IRRI in 2011 to lead a team of ES staff. He oversaw field operations (machinery), field maintenance (agronomy), irrigation, bioenvironment and administrative groups. This includes the day-to-day operations, but also a number of projects to improve both the infrastructure and the processes at the Experiment Station to match 21st century requirements. He also spearheaded IRRI Agronomy Challenge, a unique activity where scientists and researcher experience firsthand how to grow rice crop from seed to harvest. Following his exit seminar, Dr. Vial donated a 1962 Honda Super Cub as the family’s gift to IRRI. “This motorcycle will stay at IRRI,” he said. “Sue, I and the boys will always have an attachment to IRRI as a result. The bike was featured in the article The Next Green Revolution in October 2014's edition of the National Geographic magazine. The Honda Super Cub was widely used by Vietnamese farmers when the IR8 rice variety-a milestone of the Green Revolution-was released in 1966. With their higher income from IR8 Vietnamese farmers were able to purchase Honda (which means “bountiful rice fields”) bikes. Honda’s advertising campaign for its motorcycles was "You meet the nicest people on a Honda” and it was certainly true of Dr. Vial and his family. 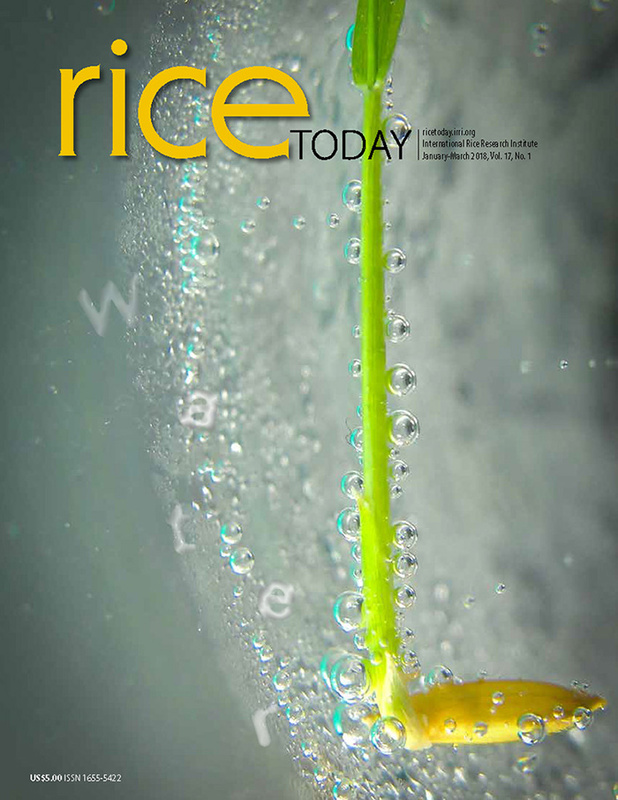 Read more about Honda Rice in Rice Today magazine.